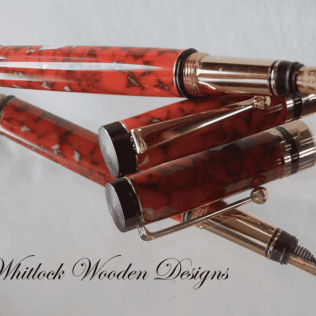 A beautiful pen hand turned on a lathe in my own UK workshops. 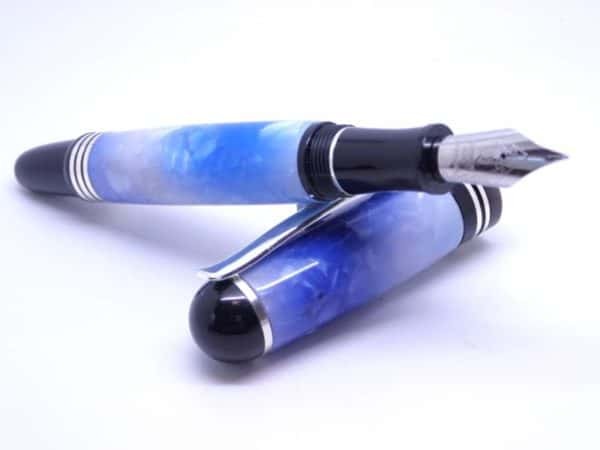 Handcrafted pen barrels with a resin that has shades of blue and white inspired by the beautiful blue ocean. 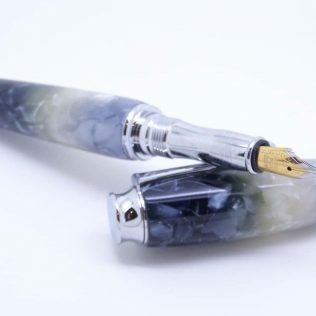 This fountain pen has a black finish with chrome details to the pens trim with a non-posted cap and it uses a medium point nib. The blue pen comes ready to use with one ink cartridge. Many people love fountain pens as they are the best fine writing instruments. 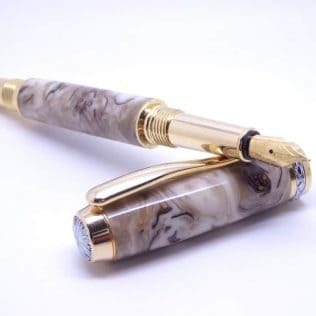 With this fountain pen, you will have an eye-catching pen perfect for smooth writing. The pen blank needs cutting to size for the pen and then drilled with the correct-sized hole. This then needs mounting on my lathe and hand turned and shaped too round. Resin blanks are hard and sometimes difficult material to work with so lots of Turners avoid them. The resin then sanded from 120 grit through to 12000 for a high gloss finish. 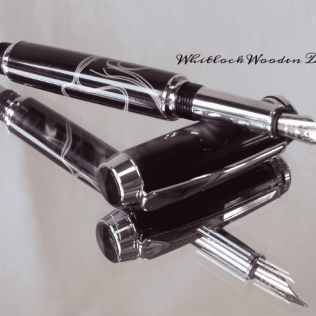 Every fountain pen gift comes in a black presentation box as a standard. 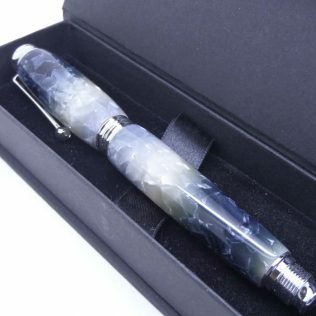 As all my handmade pens are different, they all make unique handmade gifts ideas for Mother’s Day or Birthdays.